The Uravu Bamboo Grove Resort received the CIPRA Solidarity Award 2018 for Sustainable Tourism! Read more about the award ceremony and the project on our blog. We work with sustainable materials and involve the local community. Please have a look at our video on the Uravu Bamboo Grove and its surroundings. A beautiful place that is located far from civilization and provides just the sanctuary one needs. I loved that the cottages were absolutely comfortable given the wilderness outside. The experience would have been incomplete without Elby's lovely singing and delightful company. The concept is great and unique. We hope to come back soon! A beautiful place that is located far from civilization and provides just the sanctuary one needs. I loved that the cottages were absolutely comfortable given the wilderness outside. The experience would have been incomplete without Elby’s lovely singing and delightful company. The concept is great and unique. We hope to come back soon! The hospitality of the team was awesome. I like the nature of the place and the private atmosphere. Food was really fantastic, hygienic and tasty: mostly the breakfast! Next year surely I will come back to the place. This was the best place of our family trip in October 2018, we enjoyed the comfortable bamboo cottage, the smile of Saira and the caretaker Elby will remain in our memory forever. 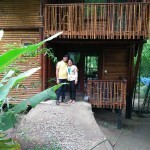 We hope to come back to Bamboo Village and I recommend strongly this place for everybody. This was the best place of our family trip in October 2018, we enjoyed the comfortable bamboo cottage, the smile of Saira and the caretaker Elby will remain in our memory forever. We hope to come back to Bamboo Village and I recommend strongly this place for everybody. God bless you. We loved our stay at Uravu! The cottages are very beautiful, simple and elegant. They were clean too. We enjoyed the view of nature and the courtesy of everybody. Manoj Kumar, our host, was exceptionally hospitable. Elby was great - friendly and helpful. Our trips were all well arranged for us. Everything was wonderful! We loved our stay at Uravu! The cottages are very beautiful, simple and elegant. They were clean too. We enjoyed the view of nature and the courtesy of everybody. Manoj Kumar, our host, was exceptionally hospitable. Elby was great – friendly and helpful. Our trips were all well arranged for us. Everything was wonderful! In the middle of chaos, Uravu gave us our little piece of heaven. While discovering ourselves, we also discovered that humility, passion and love still exists. Among the people, the community and the host, we lost our inhibitions. We love Uravu! We very much enjoyed our stay with you. The peaceful natural beauty of the Uravu Bamboo Grove is amazing. We loved the beautifully designed cottages and the homely food was delicious too! The place is the best, away from all the city madness. 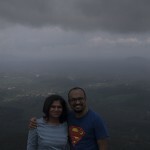 To add it to all, the wonderful host couple, Saira and Manoj made our stay a pleasant experience. Elby is the best! This is for people who want to live close to nature. Uravu is a lovely place to plan a vacation. From the arrival till the departure, they have taken care of us really well. 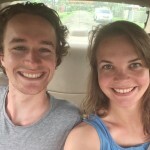 We loved the food, bamboo house and the tireless travel plan. They are very good at planning and executing surprises. Be it a welcome/leaving gift, and the amazing birthday celebration. We just loved the stay here. Thanks to Manoj and Saira for being so lovely. Things that I liked a lot: 1. Open top shower room. 2. Cleanliness maintained around the place. 3. Absolute privacy and no noise or disturbance. 4. Perfectly maintained bathrooms. I had an absolutely wonderful stay here. Manoj, Elby and Santosh were great hosts and took perfect care of everything. Thank you very much! We had a lovely time here. It is such a great location and the cabin was beautiful and comfortable. We particularly enjoyed the activities arranged. They were great. The food was delicious and we were really pleased you were able to get us some fresh fruits. Thank you very much! Nice location in natural surroundings complemented by the hospitality of Manoj, Saira and Elby, plus an excellent bouquet of Kerala food made our four-day stay very pleasing to our minds. Also impressive was how the community is involved in transportation, tours and food. A lovely experience was had by all! After five days in Mysore, we really enjoyed a bit of rural peace. We had a great time walking around the village and meeting local people who were all most welcoming. Thanks all of you for a great stay! Enjoyed the experience of the stay to the fullest. The hospitality, the facilities and the food provided was extremely good. The ambiance around which has the resort built in it adds on to the beauty of the stay here. Would love to stay here for a week long programme. Join our mailing list to receive the latest news and updates from Uravu Bamboo Grove. © Copyright 2018 Uravu Bamboo Grove. All Rights Reserved. 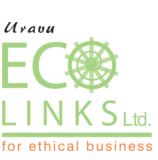 Sivaraj is the Managing Director of Uravu Eco Links. He coordinates all the activities of Uravu Eco Links – the Bamboo Grove Project, Construction and Bamboo Trading. He played a vital role in the formation of the Uravu-Kabani Homestay project of Thrikkaipetta, which has been operating successfully since 2008. A member of the Steering Committee since the beginning of the Responsible Tourism Initiative in Kerala, he maintains close ties with the Kerala Institute of Tourism and Travel Studies (KITTS) and the Department of Tourism, Kerala. He has 14 years’ experience as manager of Uravu and interacts with governmental, industrial and civil society stakeholders. Manoj is the Resort Manager and responsible for the administration and organisation of the Uravu Bamboo Grove resort. You can approach him for any inquiries regarding tourism. Over the past five years Manoj has been very busy organising tour programmes for international and national tourists and working alongside resort owners by designing new tour programmes for larger groups of 20 or more visitors. He has also worked with organisations such as Equations, a well-known Indian tourism research organisation. Baburaj is one of the Directors of Uravu Eco Links. He is responsible for village activity co-ordination. An Uravu trustee and currently its president, he has many years’ experience in the management and running of the organisation. Further, as a local of Thrikkaipetta, he is well connected to the community and was instrumental in initiating the bamboo village programme. Corinne is the Bamboo Grove Project Manager and is responsible for concept formulation, marketing and project overview. She has been involved in studies and research projects on tourism initiatives in Kerala, alongside her work as Communications Officer for a research institute of the University of Bern, Switzerland. She was part of a research team on studies on Responsible Tourism in Kerala and India and is therefore well versed in the various standards and initiatives on sustainable tourism. Saira was born in Calicut city, Northern Kerala. 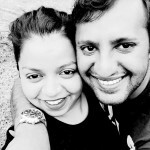 She manages the Uravu Bamboo Grove Resort and organises excursions hand in hand with Manoj, her husband. Saira joined the Uravu Bamboo Grove Resort’s team in 2016, after eleven years of professional experience in Dubaï and Saudi Arabia, as secretary of the CEO in a multinational company. The Uravu Bamboo Grove Resort is happy to benefit of her managerial skills, as well as her friendly and always welcoming attitude. Elby is taking care of the Uravu Bamboo Grove Resort. He is the helping hand, taking care of the guests and making sure they are comfortable. Before joining Uravu Eco Links’ tourism activities, he was a member of the construction team. He joined Uravu in 2008 as a bamboo craftsman. Later he became a member of the Uravu Eco Links construction team and was involved in its construction works. Elby has experience in construction with bamboo and other sustainable materials. As a constant team member he worked with Uravu Eco Links for the construction of a 100-meter long bamboo bridge in Trivandrum, various bamboo cottages and cafeterias for resorts. He also was involved in the construction of the Uravu Bamboo Grove Resort. Sadique is Uravu Eco Links’ Site Supervisor. He is responsible for the supervision of the constructions at the project site. Sadique obtained his diploma from the Government Polytechnic College in Meenangadi in 2012. He worked in different construction companies in Calicut and Wayanad. Since eight years he is involved in his father’s construction and masonry business and got hands-on experience in the construction field since a young age. Muhammed is responsible for finance and administration at Uravu Eco Links. Muhammed is a graduate in Economics and completed the CA intermediate. He has seven years of experience in finance, accounts and taxation in numerous firms based in Bangalore and Calicut. Rajan is responsible for the accounts of Uravu Eco Links. He is a National Diploma holder in commerce and worked in the Accounts Departments of a non-banking financial concern for around 20 years. He has a vast experience as for the last two decades he has been working as an independent tax consultant and also runs a Business Process Outsourcing (BPO) establishment. Rajan is also involved in various social activities in Kalpetta such as the Amrita Hospital for tribal communities and the Amrita Kudeeram housing scheme for Below-Poverty-Line families. Sheeja is responsible for the accounts and the administration of Uravu Eco Links. She has been working for Uravu and later Uravu Eco Links since 2000. In Uravu she was looking after the store. Sheeja completed her Bachelor of Commerce in Sulthan Battery. Before joining Uravu she worked as a teacher at Deccan Computers, a computer institute in Kalpetta, Wayanad. Jürg is an architect and a Professor of Architecture. He is responsible for our concepts in architecture and design. He has vast experience in sustainable architecture, besides photography and design, and has managed companies in Switzerland and elsewhere globally. Since 1991 he has been a Professor at the Bern University of Applied Sciences, Department of Architecture, Wood and Civil Engineering. He is the head of the IN:CH Transcultural Sustainability Platform India, which is a competence centre in India for research, advanced training courses and the IN:CH Studio, a semester course for Indian and Swiss students in architecture and civil engineering. Given his exposure to Indian projects and much else besides, Jürg can offer invaluable help/advice to Indian partners and experts in the area of architecture. He believes that an intercultural and interdisciplinary teamwork creates a third culture, which is more successful than individual work. With IN:CH Architects and Planners in Bangalore he works on projects and execution in sustainable architecture, design and urban settlements. Ariadna, an architect from Barcelona, Spain, works with Jürg Grunder on the design concept of the Bamboo Grove Project. She is currently working as a technical consultant and project manager at IN:CH Architects and Planners, Bangalore. A 2005 graduate of the Escola Tecnica Superior d’Arquitectura de Barcelona (ETSAB), she did her Masters in Workspace Design from Escola Elisava of Barcelona (UPF) in 2007. She has worked as manager for architecture projects in Spain, India and Morocco, and developed her own projects as a freelancer in Barcelona. She has comprehensive experience in sustainable architecture, hotel design and residential projects, and is a specialist in developed-technical stage and site management. Ariadna has complementary experience managing different cultural and social events such as art exhibitions, audiovisuals and social work projects. Pornika was born and brought up In Bangalore. She studied architecture at the Siddaganga Institute of Technology from 2009 to 2013. She did her thesis project on ‘Museum of Modern Art’ in Jaipur, Rajasthan exploring the culture and architecture of the place and researching on sustainable building methods to respond to the extreme climatic conditions. Pornika is interested in green architecture, energy efficient designing and sustainability. Currently she is interning at IN:CH Architects and Planners in Bangalore where she is working on projects involving sustainable building techniques using mud and bamboo. Presently she is involved in the design and planning works of the Bamboo Grove project together with Jürg Grunder and Ariadna Binefa. George has long-standing experience as a civil engineer in construction and is responsible for Uravu Eco Links’ construction management. Over the past 16 years he has executed various structures for tourism projects such as Vythiri Village, Treasure Trove Homestays in Meenangadi and Mepadi Homestays. He has worked alongside reputed architects and engineers in different parts of the country, such as Sudhakar Redy from IIT Delhi. He also has a vast experience with RCC constructions in Wayanad. George has designed and built a 100-metre bamboo bridge for the Kerala State Archaeology Department. He has worked with Uravu for eight years and brings with him innovative ideas in bamboo and other eco-friendly structures. His expertise in the technical aspects of construction and his experience with local and government construction, as well as in various other eco-friendly projects, make him a valued member of the Bamboo Grove Project team. Shoukath started working for Uravu Eco Links in 2005 as part of the construction team. He plays a vital role in our projects and is one of the construction team leaders at the Bamboo Grove project site. Shoukath was involved in various construction projects of Uravu Eco Links. He has a lot of experience in construction with bamboo and was also part of the experimental constructions undertaken by Uravu Eco Links. These include the construction of a 100-meter long bamboo bridge in Trivandrum and dome structures. After completing his +2 education, he started his career as a construction worker. He first worked in Kerala and later gained experience working three years in Oman. Sudhish completed his Certificate Course in Electrical Engineering in 2009 with AITECC in Sulthan Bathery. Since 2009 he is working with the Uravu Eco Links construction team. He has hands-on experience in construction with sustainable materials. Sudhish was also teaching electrical engineering. He is one of the main members of the Bamboo Grove’s construction team responsible for the technical aspects concerning the construction of the cottages. He is very experienced in bamboo constructions was also part of the experimental constructions undertaken by Uravu Eco Links such as the construction of a 100-meter long bamboo bridge in Trivandrum and dome structures. He is one of the construction team leaders in the Bamboo Grove project. Krishnan has been assisting Uravu and Uravu Eco Links for the past ten years. He and his team work in the area of bamboo cutting. Krishnan helps Uravu to collect bamboo for various purposes. He has tremendous experience and expertise in bamboo cutting and is an expert on the different bamboo species. Krishnan also works as a helper on the construction work being done by Uravu Eco Links. Soman has been assisting Uravu and Uravu Eco Links for the past ten years. He and his team work in the area of bamboo cutting. Soman has a vast experience and knows all about the characteristics of bamboo as well as its availability in various places in Kerala. Soman’s traditional knowledge of bamboo and the biodiversity of Wayanad is a tremendous support for the project. Lenin is working as a designer and artist for Uravu since 2003. For the Bamboo Grove project he designs lamps and is involved in the lighting concept. In the past years Lenin has designed various craft products such as lampshades and desktop items for Uravu. He also works on sculptures in bamboo, stone and terracotta, besides murals and paintings. He has trained craftsmen in various workshops and training programmes throughout Kerala and India. Lenin also does freelance art works for resorts and residences. Rakesh comes from a traditional craftsman family that worked with temple constructions for many generations. He learned carpentry works from his father and joined Uravu in 2002. Working with Uravu he has undergone various training workshops conducted by IIT Bombay, National Institute of Design (NID) Ahmedabad, and courses by reputed designers. He is currently working as one of Uravu’s designers and craftsmen. Rakesh is also a trainer for craft workshops conducted by Uravu. He has given training in bamboo craft to more than 30 groups. He has developed various prototypes and products such as ‘The Book of Spices’, bamboo solar lamps and lampshades. Now he specialises on bamboo furniture and works closely with the Uravu Eco Links team. He is part of the furniture design team for the Bamboo Grove project. Sadu was born and raised in southern India and is a current resident of Wayanad, Kerala. His interest in art began in childhood and he taught himself how to paint at a very young age. After receiving his B.S. in Statistics, Sadu dedicated his life to his true passion-creating artwork. Over the past 10 years, Sadu has explored new kinds of canvases – including bamboo. Drawing inspiration from nature and other artists, Sadu’s work incorporates natural beauty with a modern flair. He enjoys getting out of his comfort zone and using new techniques and using new mediums. In the future, Sadu hopes to work more with bamboo sculptures and installations in collaboration with other artists. Sadu was strongly involved in the bamboo works of the construction of the community centre. Ravi is responsible for the water and wastewater management system of the Uravu Bamboo Grove project. He is specialised in technology and society interface, work with special reference to development of appropriate technology interventions, sustainable development practices and rural development. Ravi is also involved in translating field research into teaching applications for the training of technologists. He has done pioneering work regarding rainwater harvesting, sustainable sanitation, grey water recycling, wetland conservation, bio-resources, renewable energy systems and environmental education. Ravi was trained as a mechanical engineer at the University of Mysore. He has taught basic engineering for 26 years as a professor and established and managed the Centre for Appropriate Rural Technologies (CART) at the National Institute of Engineering, Mysore for 16 years as its Director till his voluntary retirement in 2008. He received the following awards: Rotary Mysore North – S. Govindraj Best Engineer Award 2007, Lions Club Mysore South – Best Engineer 2004, Karnataka State Open University (KSOU) – Independence Day Honour 2002 for Service in the Cause of Environment, and the Rotary Vijaya Vocational Award 1996. 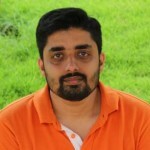 Shyam Kumar is the Technical Director and Head of R&D in Renewable Energy at Innovation Experience Kerala. 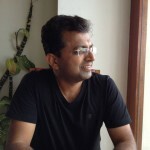 He is also the Technical Consultant for the Eco-Tourism Thenmala. Shyam has worked in various automobile and mechanical firms. He has worked in many Govt. research projects with DSIR and KSCSTE. His main achievements include a patent pending design for a solar peak load minimiser system, patent pending design for a chain-less pedal operated wet grinder, development of pedal operated water pump, juicer, automatic solar powered irrigation systems, solar boats, first solar bumber boat in india, solar powered bicycle, Low energy solar signage, biodegradable solar lamps etc. With NABARD funding, he developed a model eco-farm which consists of a PET bottle island, wind powered pumps, hydroponic cultivation, solar yard lights etc. He built and demonstrated a PET bottle rainwater harvester and a PET bottle bus shelter at CET, Trivandrum. He designed and constructed an interactive art installation at Technopark, Trivandrum. He designed and built an agricultural farm which use eco friendly technologies and pesticide free techniques to provide vegetables for the Kanthari Campus at Vellayani, Trivandrum. Shyam’s dream is to live in a world fully powered by solar and with waste management systems effectively converting everything including human waste into energy and utilities. Shyam completed his studies from Central Polytechnic, Trivandrum and College of Engineering, Trivandrum. Moncy recently joined the Uravu Bamboo Grove Resort’s team. He is taking care of the Uravu Bamboo Grove Resort. He is the helping hand, taking care of the guests and making sure they are comfortable. Before that, he was working in a detergent company as a mission operator in Tamil Nadu. He lives in Thrikkaipetta village since his birth. Téo Gürsoy is a final-year student in Management and Tourism at the University of Applied Sciences and Arts of Western Switzerland (HES-SO). As part of his education, he is currently doing an internship in the tourism sector of Uravu Eco Links. After an initial commercial apprenticeship in an insurance company, Téo had the opportunity to travel and work in different countries for two years. During this journey, he acquired experiences in the hospitality industry and learned new languages. It is also during this time that his interest in sustainable living and alternatives to protect the environment really grew. Thus, throughout his curriculum, he selected classes oriented toward sustainable development. As an outdoor lover, Téo is deeply convinced that alternative and sustainable form of tourism are the key to a better living. Julien Mounoud is a final-year student in Management and Tourism at the University of Applied Sciences and Arts of Western Switzerland (HES-SO). As part of his education, he is currently doing an internship with Uravu Eco Links in the tourism sector of the company. After an initial training in IT, Julien had several professional experiences as a ski instructor and in the hospitality industry. Thereafter, he worked for an NGO involved in environmental awareness and waste management in Switzerland. His passion for outdoor activities, as well as his previous experience within an environmental foundation strengthened his conviction to preserve the planet and the need to combine sustainable development and tourism. Vincent Weil is a final-year student in Management and Tourism at the Sierre University (HES-SO) in Switzerland. Previously, he studied architecture at the Engineering School of Geneva during 4 years. In addition to these academic skills, he is also very keen about graphic conception, video editing and traveling. He shares his passion in his own travel blog and Youtube channel and tries to catch the attention of his followers by posting and editing original stories or videos. As an autodidact, he learns by experience on how social media and the Internet are working and evolving. Fascinated by new technologies and news trends he tries to be always updated on his favorite topics such as sustainable tourism, eco-projects or alternative ways of living. 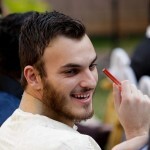 He is currently working as an intern for Uravu Eco Links in Wayanad, Kerala. Camille Drompt is a final-year student in Management and Tourism at the Sierre University (HES-SO Valais/Wallis) in Switzerland. Currently she is doing an internship with Uravu Eco Links. Previously, she travelled through Oceania, Asia and South America during one year. She discovered India during her travels and fell in love with the Indian culture, landscapes and people. Working for Uravu Eco Links is a perfect match as she is especially interested in sustainable development and cultural tourism in rural areas. Solenn Goh is a final-year student in Management and Tourism at the Sierre University (HES-SO) in Switzerland. She is currently doing an internship with Uravu Eco Links and is supporting the marketing. She tries to keep being updated with new trends on social media marketing. Her interest for sustainable tourism grew as she traveled in many Asian countries and she attended classes on eco-friendly tourism and sustainable development. In parallel with her internship, she is conducting a research on community-based tourism in the Bamboo Village. In the past, she worked one year abroad in the Maldives, so she is very pleased to work again in a different cultural setting. Vanessa Vacante is a final-year student in Management and Tourism at the Sierre University of Applied Sciences (HES-SO) in Switzerland. As part of her education, she is currently doing an internship with Uravu Eco Links and is supporting the tourism sector of the company. She has always been aware of the importance of bringing a little bit of sustainability into her everyday life. It was therefore a logical step for her to attend the Manager 21 class during her fifth semester at the HES-SO during which her interest for sustainable projects was manifested. Amongst other things, she is working on the activities and the packages that are proposed to the guests of the resort.